One Piece world seeker gets a new impressive 4k trailer. On December of 2017, Bandai Namco announced the release of their new game One Piece world seeker over twitter. Bandai Namco announced the release for PS4, X1, and PC sometime in 2018. There is no specific date for release yet but we eagerly anticipate this open world adventure game. When it was just announced I had a few looks at the screenshots from the game and I gotta say the piqued my interest. The release of the first trailer brought even more hype to my mind and now it is finally released in 4k resolution. To be honest, I am a fan of open-world games. And this game looks amazing. Bandai Namco is giving us an open world that is explored with a lot of adventures on the way. In the trailer, we can see Luffy jumping around the trees with his arms stretching out. Personally, it reminded me a bit of spider man games. And when I discussed it with some friends they told me it was also a thing that popped into their mind. Jumping around and swinging through an open world definitely looks fun. At the end of the trailer, we see a bit of combat. Combat looks good though there are probably things they are still hiding from us. 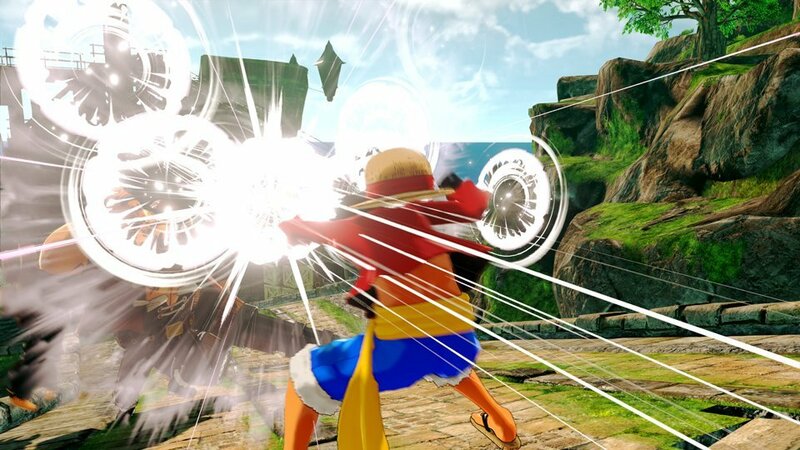 One piece world seeker will feature a game-play from a 3rd person perspective. As we control and swing around with Monkey D. Luffy, the captain of straw hat pirates. The company also announced they will be using official soundtracks from the anime for this game. Will there be a release for Nintendo Switch? Some people asked me if I think the game will go out for Nintendo Switch. However, considering the graphics it looks very unlikely that they will be making it for Nintendo. Unless they do a downgraded version of it and release. If that is to happen we can probably expect it a year or two later. One piece is one of my fav Anime.